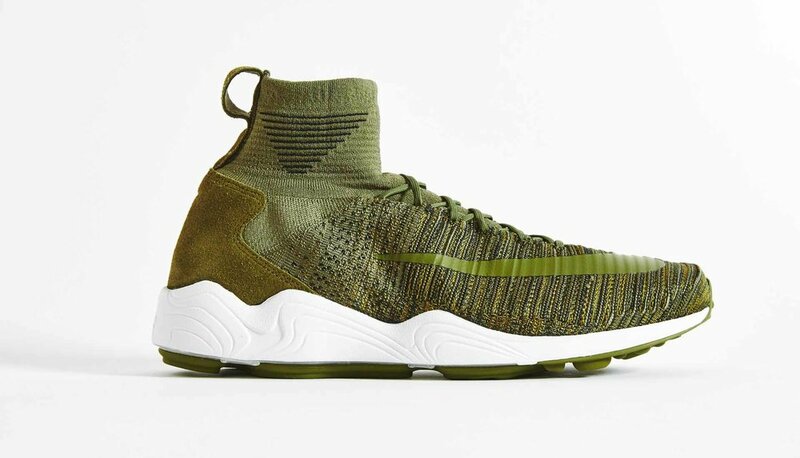 Nike rustle up their first taste of autumnal vibes on the Zoom Mercurial XI Flyknit as shades of "Olive" scatter themselves across the dynamic silhouette. The strongest football-inspired sneakers are often in colourways that aren't seen on pitch and this rendition is solid proof of that. To be taken as a serious lifestyle piece in street environments the Nike football-inspired sneaker collection had to do its own thing when it came to colourways, and it's succeeded in doing just that. Subtle low-key colour combination has ensured the shoe can stand alone in fashion circles, rather than being instantly linked to the Mercurial Superfly football boots. Those smart suede heel patches certainly help, as does the matching pull-tab. 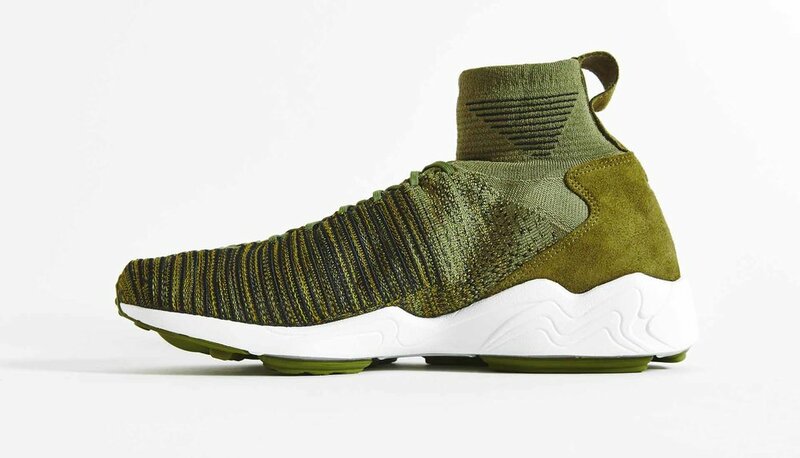 Built upon one of Nike's most comfortable platforms in the Zoom Spiridon's midsole cushioning, the Zoom Mercurial XI Flyknit is the result of how to merge football and lifestyle with stylish results. With an official title of "Medium Olive" the latest update provides a colourway that slides effortlessly away from the on-pitch scene. From kicks, to kits to every new set of wheels Nike unleash! Just subscribe below!